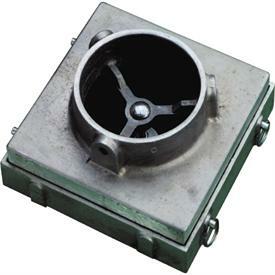 Scott Creek Aluminum Expansion Box for 4" Extruders. Cast Aluminum. Output dimension 6 1/2 inches by 6 1/2 inches. Use larger dies to make even bigger extrusions! Made in the U.S.A.